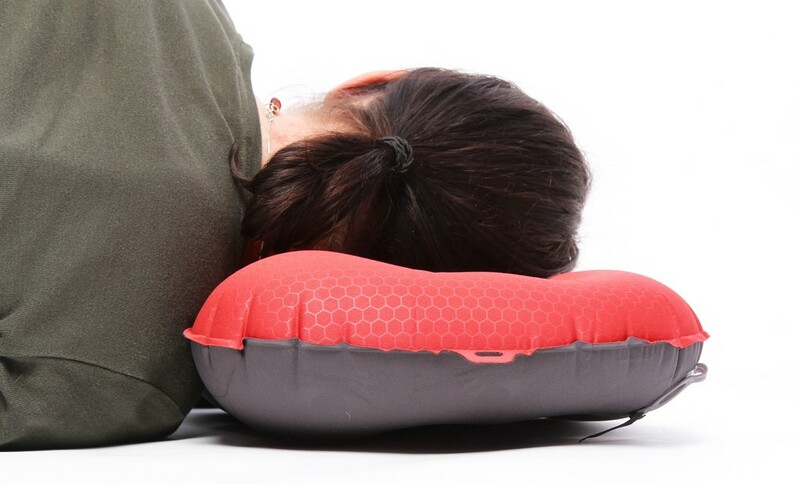 Lightweight and comfortable air pillow. 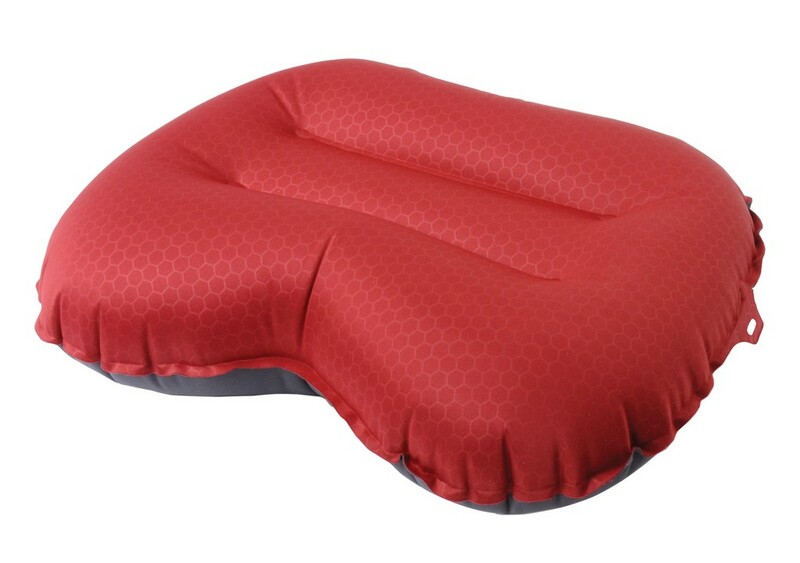 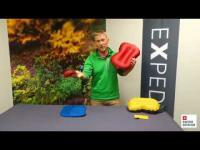 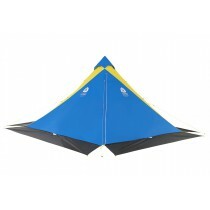 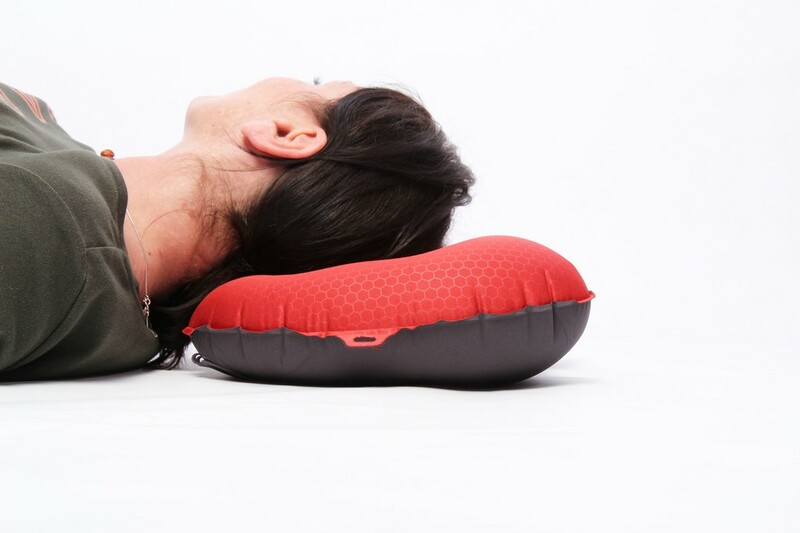 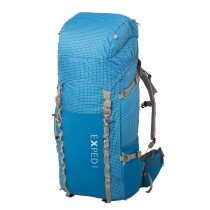 The asymmetrical Exped Air pillow has an anatomically shape. 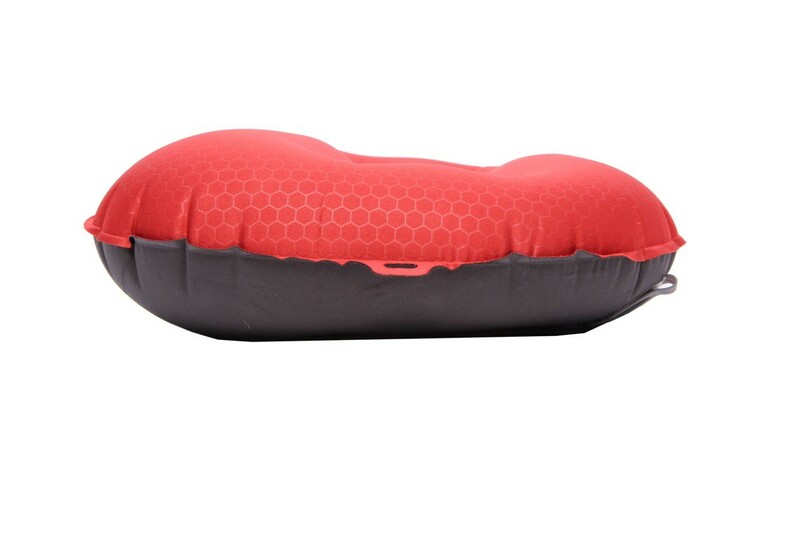 Comfortable tricot fabric; adjustable height for side and back sleepers; anatomical shape holds head in place; sturdy flat valve for inflation and deflation (using deflation pin); 2 grommets, stuffsack included.